Most people think that by working from home, they are helping the environment by cutting out the carbon emissions of a daily commute. However, new research shows that the trend towards remote working could in fact have a negative impact on the environment. Working from home during colder months means turning up the heat just for yourself, as opposed to sharing energy consumption in a building. A recent study by BT Group Plc shows that energy consumption increases by 20% when people work where they live. 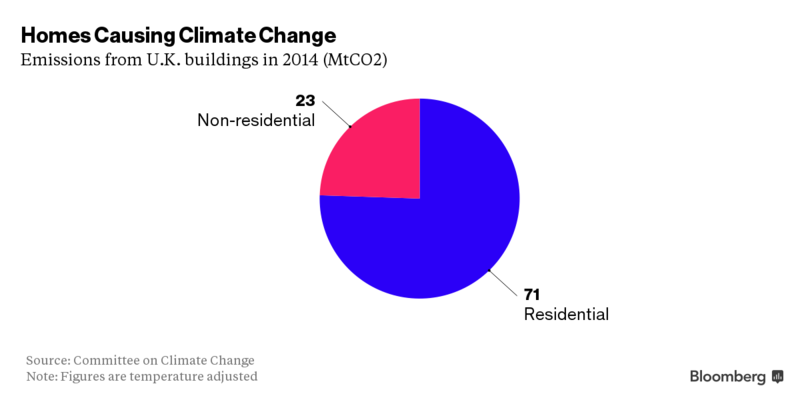 Homes already account for almost three quarters of all emissions from buildings in the UK. A report by Carbon Trust in 2014 showed that just one hour of working form home in the winter cancelled out any emissions saved from not having to commute. If you travel by train to get to work, your office would have to me more than 30 miles (48 kilometers) away before staying home would make a positive difference. The choice to work from home is nevertheless on the rise . In the United States alone, roughly 3.7 million people have a home office, double what it was in 2005. In other parts of the world, a poll conduced by Ipsos showed that ten to 35% of the world's workforce were working remotely at least once a week. 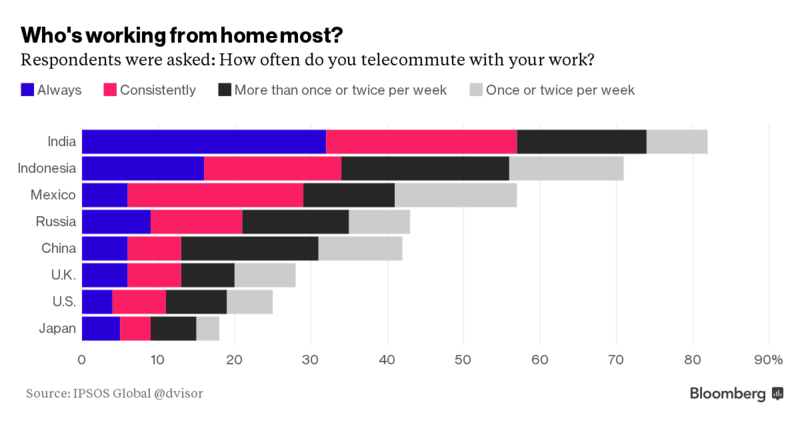 India, Indonesia and Mexico had the highest amount of telecommuters.